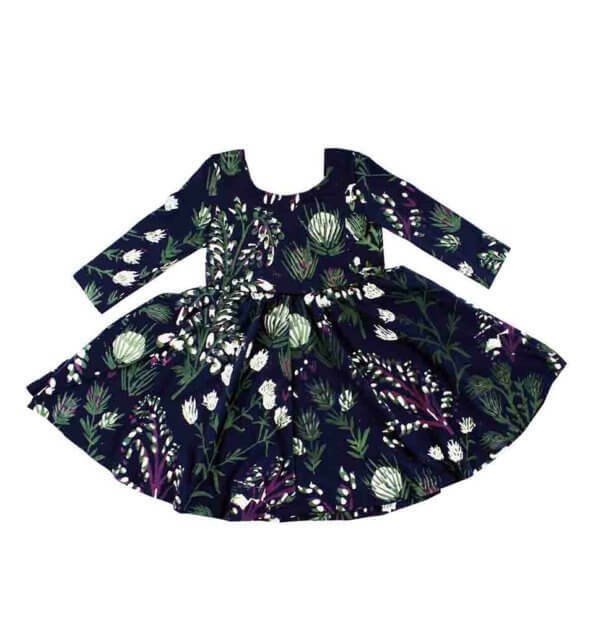 Thistle Twirling Dress in Jade, Magenta and White on Navy. 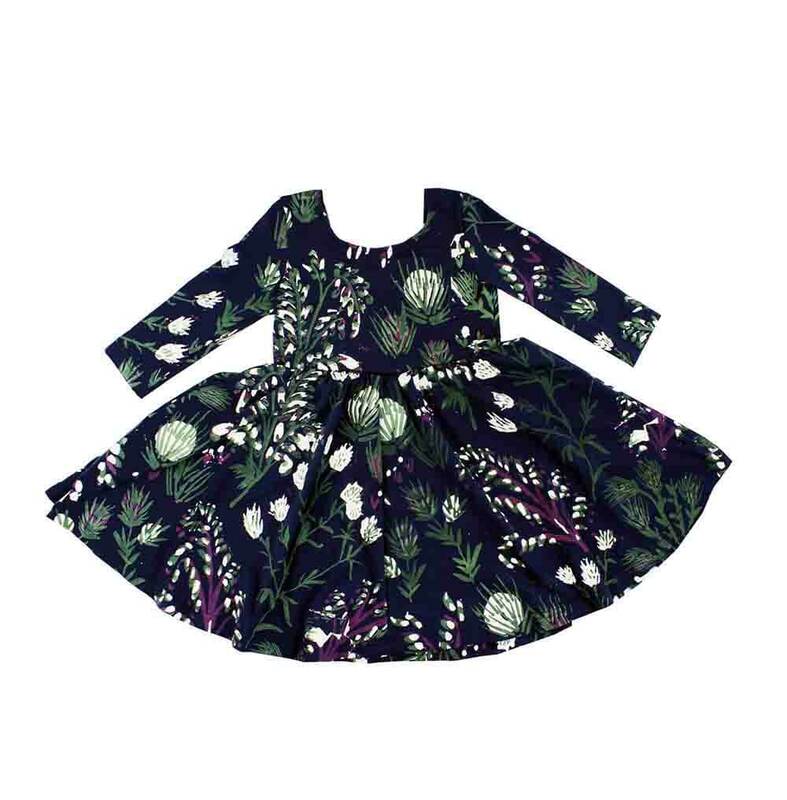 The Twirling Dress in the popular thistle design is a magical little dress. The scoop neck is reminiscent of a ballerina dress and the skirt is full so it has the perfect ‘twirl’. Perfect for summer weddings, birthday parties or just lounging about, guaranteed to get compliments all around!